By a detailed order passed last week, the Indian Patent Office rejected an application for compulsory license filed by a generic drug manufacturer BDR Pharmaceuticals International Pvt. Ltd. (“BDR”) seeking a license of Bristol Myers Squibb’s (“BMS”) Indian patent for an anti-cancer drug. The Indian Patent Office found that BDR had not made out a prima facie case for grant of a compulsory license since it had not made efforts to obtain a voluntary license from BMS on reasonable terms and conditions. Though the Indian Patent Office did not go into the merits of BDR’s application and rejected it on preliminary grounds, this victory will help restore pharmaceutical companies’ faith in the Indian patent system. 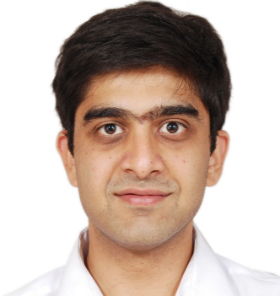 Aditya Gupta is an LL.M. student at Harvard Law School interested in issues involving the intersection of health care and intellectual property law and policy and the need for health care and patent law reform in both developed and developing countries. Aditya has practiced as a litigator at an intellectual property law firm in India for three years. During that time, he was part of some of India’s high profile pharmaceutical patent litigation including the Novartis case decided by the Indian Supreme Court.